Why do customers sign up to a subscription service, and then churn within weeks? When Dan Wolchonock, senior manager of growth and analytics at HubSpot, analyzed the reasoning of people who churned within the first week, he discovered a significant majority left because they simply didn't understand the product value. "We weren't doing a very good job explaining what our product did, and how people could get value from using it," confessed Wolchonok in his blog. 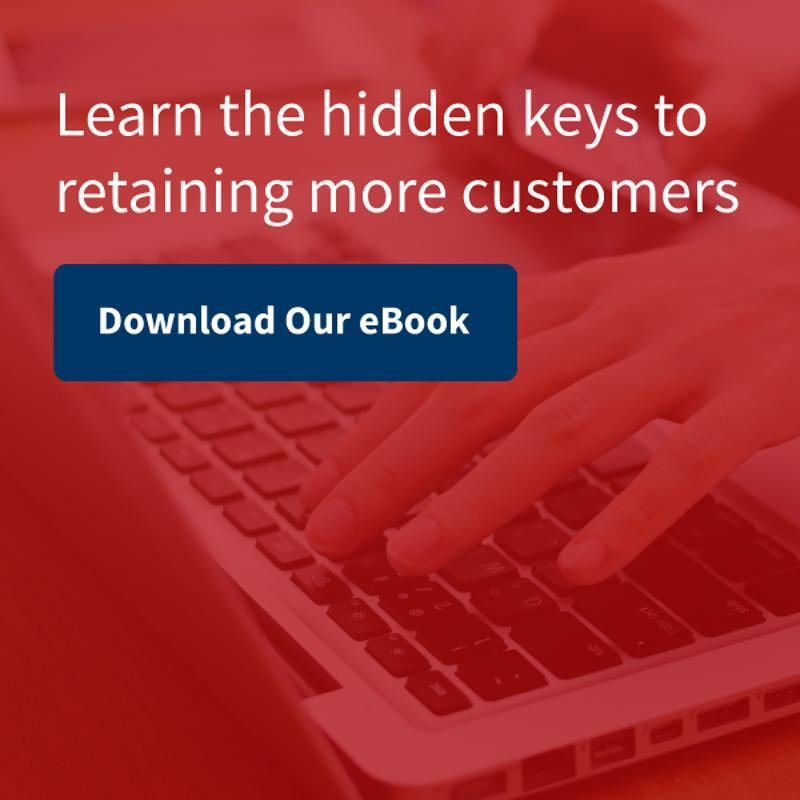 Does your subscription business also suffer from early churn? If so, you need to give your onboarding process more consideration, because maybe you are making the same mistake as HubSpot. For a subscription business, a clear, well-engineered and positive onboarding experience can play a huge role in mitigating early customer churn. It can make customers feel excited, welcomed and well-informed, while a poor or mediocre onboarding could leave them confused and frustrated, increasing the likelihood of cancelations. Over-promising and under-delivering are easy ways to sour new customers and increase churn rates. To best manage their clients' expectations, sales teams and account managers must coordinate on what actions, functions and outcomes are realistic. This way, sales teams won't make promises to new customers that account management or the software itself can't deliver. Keeping everyone aligned in terms of expectations is a manner of communication. Sales and account management must have the same understanding of a client's goals from the outset, then refer to those goals each time they communicate with each other and with the client. If the start of a new customer relationship is built on a misinterpretation of key details, the stage for churn is set. 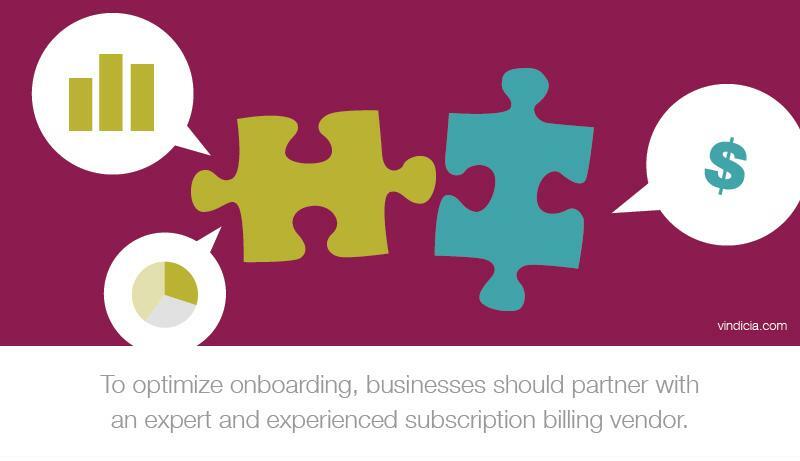 Vindicia can help your subscription business optimize the onboarding process. Is personalized to the recipient, referring to their name and, in some cases, their title. Helps manage expectations (referring back to point No. 1). Contains helpful links that provide more context than can be included in an email, such as a new user's guide, knowledge base or FAQ page. Audit subject lines so they're concise and informative. According to the email marketing tool MailChimp, there isn't a specific word or character count that will increase open rates. Rather, businesses should A/B test different subject lines to see which ones receive the highest number of clicks. Ensure all emails are sent from an address that implies a real person rather than "noreply@companyname.com." A human address builds familiarity. Revise any calls to action (CTAs) for clarity. Sixteen Ventures recommended that welcome emails have only one CTA. Per PostFunnel, conversion rates tend to increase when content uses the product's benefits as keywords and mentions them toward the beginning of the copy. Therefore, subscription businesses should include such details toward the top of their landing pages, welcome emails and throughout the setup process. This serves to continuously remind new customers of the benefits of the company's product after sign up, reinforcing the idea that the subscribers made a good decision. To truly optimize their onboarding experience, businesses should partner with an expert subscription billing vendor that has years of data under its belt. This way, the vendor can advise clients on industry best practices, providing expert opinions on what works and what doesn't. At Vindicia, our extensive experience allows us to provide our customers with what we call the Network Effect. Our understanding of the subscription billing sector, which is fueled by millions of successful transactions, allows us to educate our customers on best practices and optimize their business processes to cut down on churn.